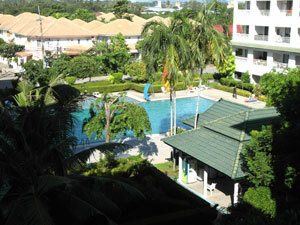 This is a very tasteful furnished with handmade teak furniture and 42 sqm studio apartment in Baan Suan Lalana in Jomtien Pattaya Thailand on the 4th floor with a view of the swimming pool and tropical gardens. 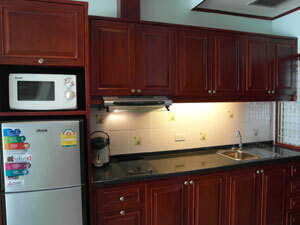 This studio apartment has a fully equipped kitchen to satisfy all your cooking needs. 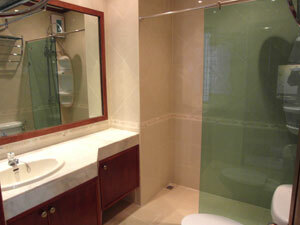 Plates, bowls, cups, glasses, cutlery, pots, pans etc., all available. 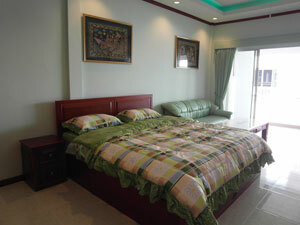 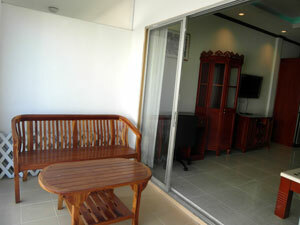 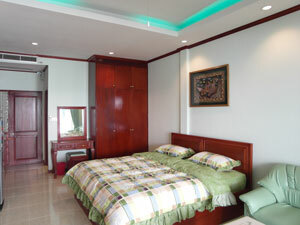 Contact us if you want to book or buy this very nice studio in Baan Suan Lalana. 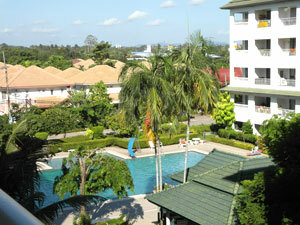 Baan Suan Lalana is in a lovely parklike setting. 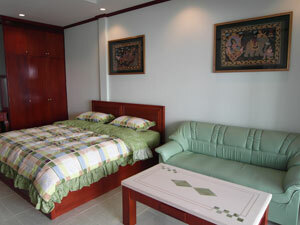 This studio apartment is located on the 4th floor. 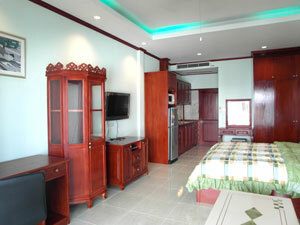 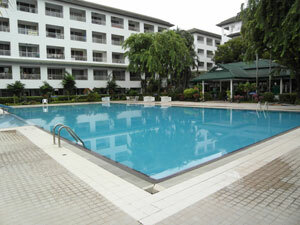 Studio: fully equipped kitchen, air conditioning & ceiling fan, LCD flat screen & DVD, fully furnished, view.